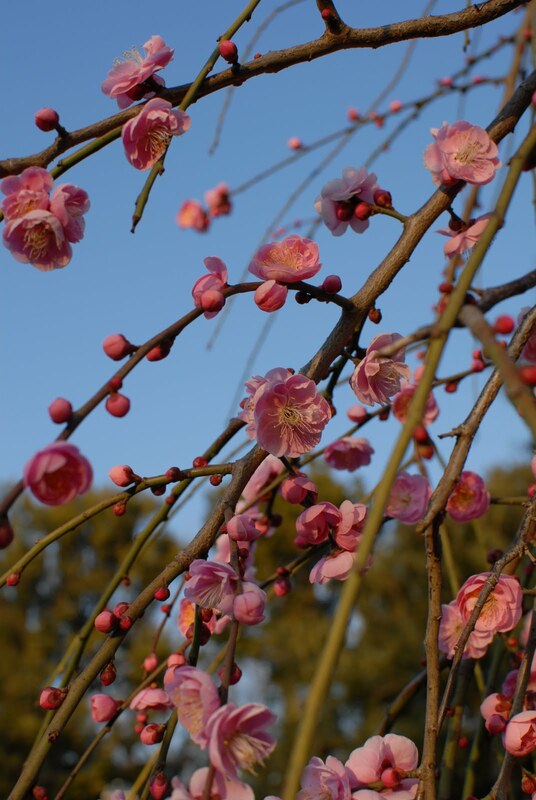 Every February, the plum blossoms arrive in Japan in all their splendor. In the same way football and fresh new yellow pencils signal the beginning of Fall in America, Setsubun and the ume blossoms alert Japan that spring is just around the corner. 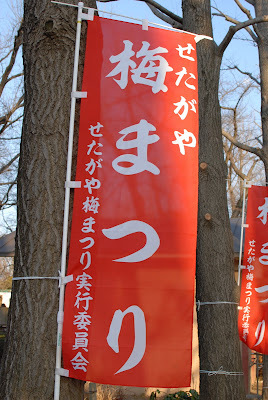 A rather large park down our train line, in Umegaoka, held an omatsuri (festival) this weekend to show off the blossoms. Three days past due, and feeling a bit stir crazy in the house, James helped me muster the energy on Sunday to eat a spicy curry lunch in Roppongi and visit the park on our way home. James wanted to take his new camera lens for a drive before baby arrived. Nature's colors often leave me speechless. I'm not one with words, but I imagine a poet can wax eloquently about these blossoms. Not only are they beautiful, but their fragrance is intoxicating, too. I wish I could bottle it up. Last June, I wrote about making my own ume-shu. What we didn't announce on that post was that I literally found out I was pregnant while making that jug of plum wine. Coincidentally, the ume-shu requires 9 months to a year to marinate, just like our little akachan. 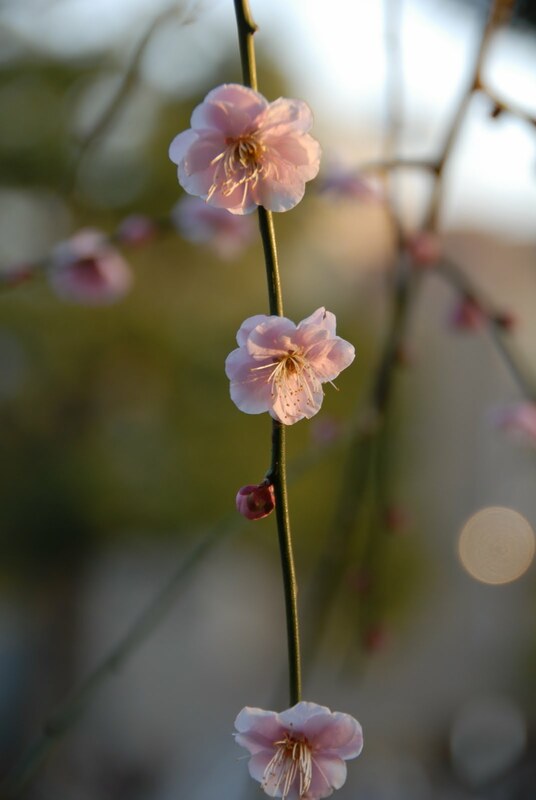 We nicknamed that batch "babyshu" and looked forward to toasting the birth of our baby in February, the same month the blossoms make their appearance. 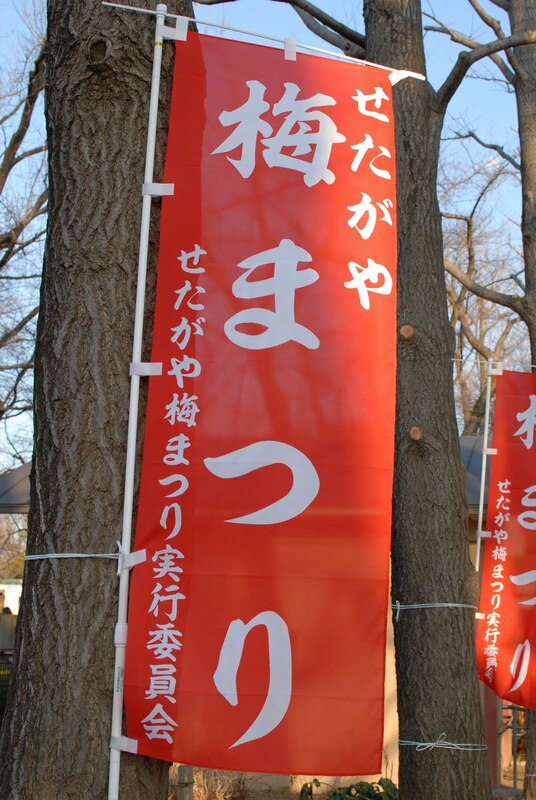 At the festival, men ladled out shots of ume-shu and drunken plums for 300 yen. We bought a mini ume bonsai and swore we wouldn't let this one go the way of our other poor houseplants. At about 5:30 we headed home by train. Little did we know it would be just 12 more hours before our own little plum would be ready to bloom. I have a thing for fruit. Like persimmons and kinkan and watermelons and cantaloupes. When James brought home this fruit the size of my overdue belly, we thought it was just another giant, well-bred, Japanese grapefruit. Turns out it looks, smells, and tastes similar to a grapefruit (just a bit sweeter with a lot more white stuff protecting the juicy parts), but its actually a pomelo. A famous pregnancy book compares each week of the fetus's growth to a fruit. Last week, before the 10th, I was a watermelon. This week, overdue, the baby cheekily turned into a pumpkin. I think pomelo is also pretty fitting.